Popped in to my local earlier which is a large supermarket type store and grabbed this for use as a thickener in my homemade curry. First time I have used this sort of product and all I can say is it's smooooooth! Ideal as a base ingredient for cooking sauces. 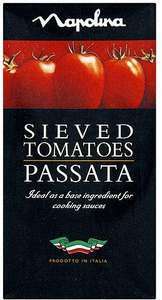 Use to add a rich concentrated tomato flavour to cooking sauces soups and a variety of savoury dishes. and at that price it sieved you a packet!